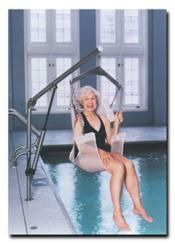 Pool Enclosures, Inc. manufactures swim-spa enclosures for physical therapy swimming like the structures shown below. Features include insulated tempered high performance low-e dual-glazed glass or multiwall polycarbonate roof, motorized retracting roof panels, windows, and sliding patio or swing doors. 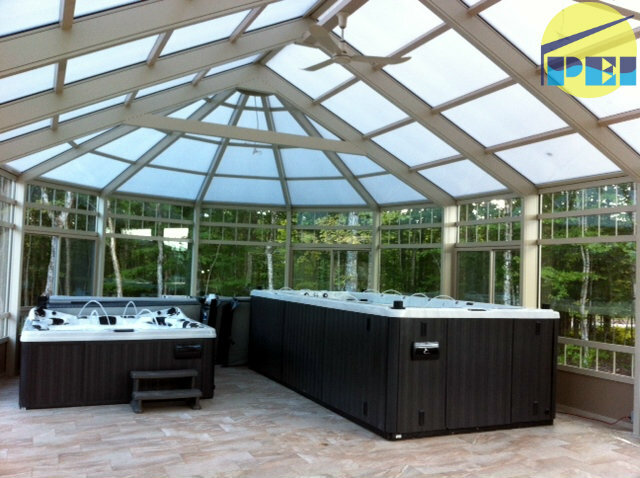 NOTE: Both of these enclosures have motorized pool covers, a cover over the water greatly helps control the humidity level in the enclosure...by covering the water when the pool is not being used will keep the 80 degree heated water from emitting unwanted moisture into the room. 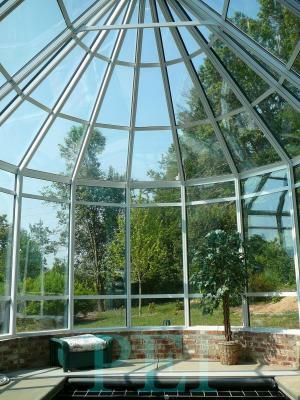 Applications are commercial and residential. Hydrotherapy jets used in swim spas bring relief from muscle stiffness and aches from rheumatism and arthritis through heat, buoyancy and massage. The heat from the swim spas warm water soothes the body while the jets nourish cells and promote regeneration of tissues to help the body heal from injuries and sickness. Hydrotherapy can give benefits to diabetes patients, people with arthritis, ease the pain of migraines, and decrease back pain as well. Water-powered lifts certified to meet the 2010 Standards for Accessible Design as well as the requirements of the ADA, ABA and CBC.